Origin of name: The state is named after the Alabama Indian tribe that inhabited western Alabama and eastern Mississippi until the early nineteenth century. 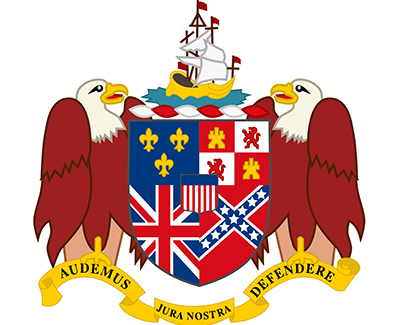 Motto: "Audemus jura nostra defendere"; translation: "We Dare Maintain Our Rights"
Nickname: Alabama does not have an official nickname, but is often referred to as the "Heart of Dixie." It has also been called the "Cotton State" and the "Yellowhammer State." State Creed: The official creed of Alabama was originally created for the Alabama Federation of Women's Clubs and was written by Mrs. H. P. Thetford of Birmingham. It was officially adopted by the state legislature in 1953. I believe in Alabama, a state dedicated to a faith in God and the enlightenment of mankind; to a democracy that safeguards the liberties of each citizen and to the conservation of her youth, her ideals, and her soil. I believe it is my duty to obey her laws, to respect her flag and to be alert to her needs and generous in my efforts to foster her advancement within the statehood of the world. 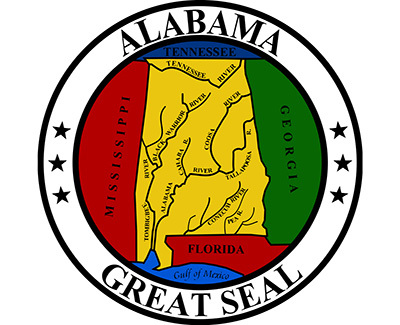 The Alabama State Seal was created in 1817, when Alabama was still a territory. The idea of a map of the territory showing its rivers and the surrounding states and territories was suggested by then-Territorial Governor William Wyatt Bibb. The design remained unchanged until Reconstruction, when a new seal was commissioned. The original seal was restored as the official state seal in 1939, when the official state coat of arms was approved. 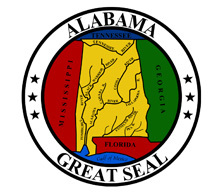 The official Alabama Coat of Arms was officially adopted on March 14, 1939. 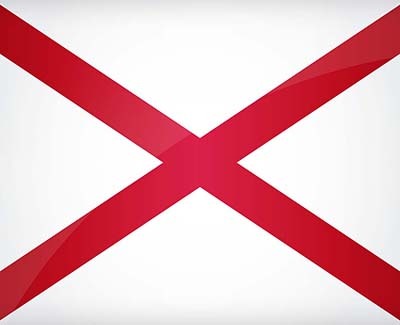 The symbols on the shield represent the five governments that have held sovereignty over Alabama: Spain, France, Great Britain, the Confederacy, and the United States. The eagles represent courage, and the crest is a likeness of the Baldine, the ship that brought the Le Moyne Brothers to the French colony of Mobile in 1699. The motto, "Audemus jura nostra defendere" ("We dare defend our rights" or "We dare maintain our rights"), was chosen by Marie Bankhead Owen. 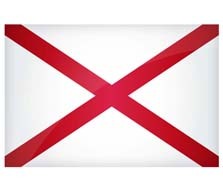 The official flag of the state of Alabama features a cross of St. Andrew, the patron saint of Scotland, on a white field and is based on the Confederate battle flag. It is the only state flag that may be displayed as a square. 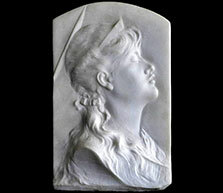 It was authorized by the legislature on February 16, 1895. 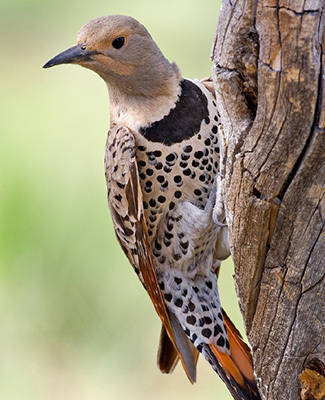 The official bird of Alabama is the yellowhammer, or common flicker (Colaptes auratus Linnaeus), a variety of woodpecker that is found throughout the state at all times of the year. Unlike most woodpeckers, the yellowhammer often feeds on the ground. Alabama has been known as the "Yellowhammer State" since the Civil War, and Alabamians serving in the Confederate Army were also called yellowhammers. The yellowhammer was designated as the official state bird in 1927. 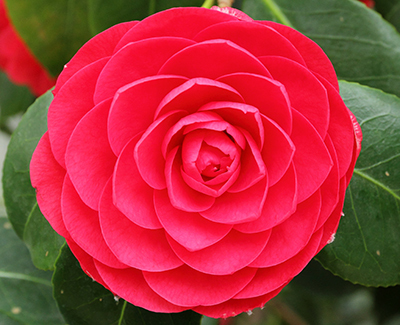 Although it is not native to the state, the Japanese camellia (Camellia japonica L) was officially named the state flower of Alabama in 1959, presumably for its growing popularity as a garden plant and association as a symbol of southern culture. It replaced the goldenrod, which had been named the state flower in 1927. 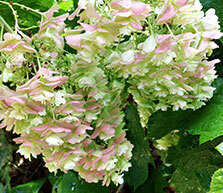 The oak-leaf hydrangea (Hydrangea quercifolia Bartr.) 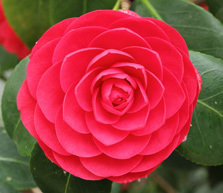 is a native woodland shrub that blooms in the spring. 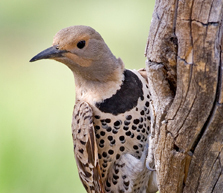 It is found throughout Alabama and was first described by naturalist William Bartram. 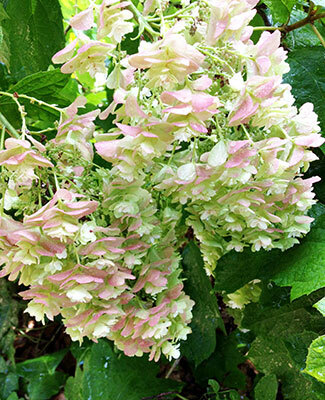 The oak-leaf hydrangea was named the official state wildflower in 1992. 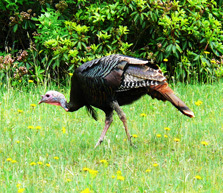 Turkey hunting is a popular sport in the state, so it is not surprising that the wild turkey is the official state game bird. Turkeys are shy animals and are extremely good at keeping themselves hidden; thus they are a challenge for hunters. Alabama has the most wild turkeys per acre in the United States. 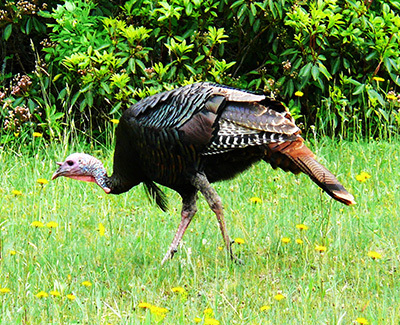 The eastern wild turkey was designated the official state game bird in 1980. 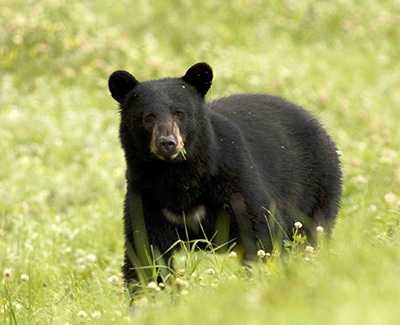 The black bear was named the official state mammal in 2006. 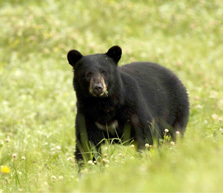 Black bears were once common in the state and are currently the subject of conservation efforts. The Florida black bear is the species in the state, and it is generally found in the Mobile River Basin. 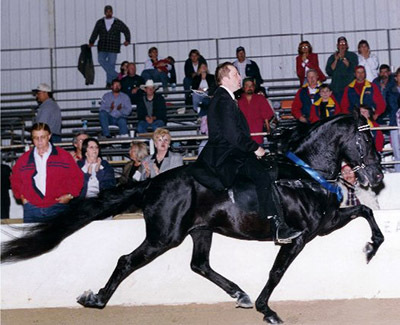 The racking horse, a gaited breed to the Tennessee Walking Horse, dates back to Alabama's territorial period. "Racking" refers to the rhythm of the horse's footfalls at a trot. 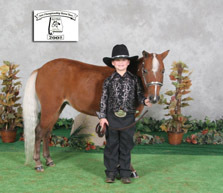 The breed was designated as the official state horse in 1975. 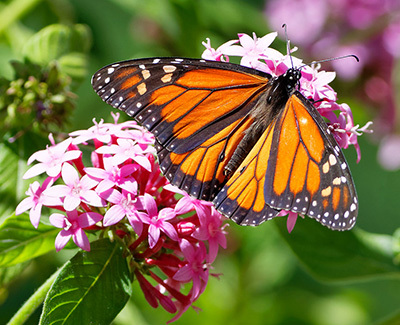 The Monarch Butterfly (Danaus plexipuss) is a common summer visitor to Alabama. It was named the official state insect in 1989. The queen honeybee was named the official state agricultural insect in 2015 for its essential importance to Alabama’s $70 billion agriculture sector. 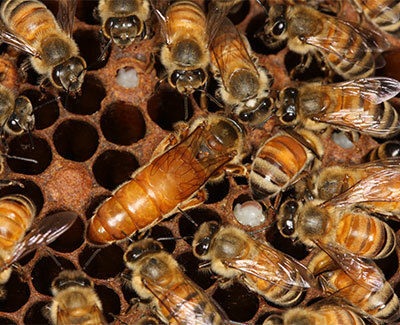 The queen honeybee was named the official state agricultural insect in 2015 for its essential importance to Alabama’s $70 billion agriculture sector. 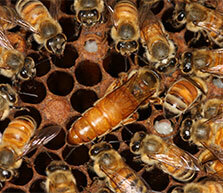 Queen honeybees can live up to eight years and lay more than 1,500 eggs per day. 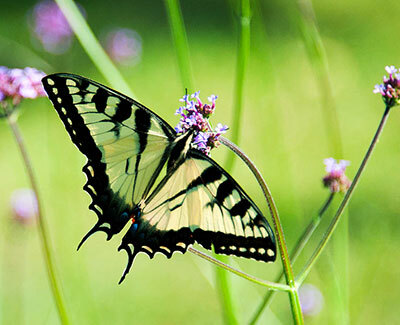 The eastern tiger swallowtail (Papilio glaucus) is the official mascot and butterfly of the state of Alabama. 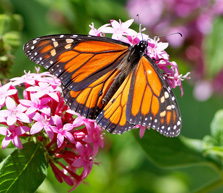 It was so designated at the request of the city council of Selma, which is known as the Butterfly Capital of Alabama. 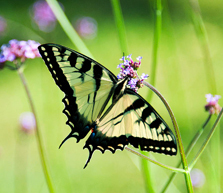 The eastern tiger swallowtail became the official state mascot and butterfly in 1989. Photo by permission of Jacopo Werther. 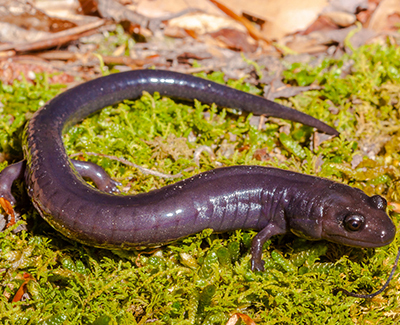 The rare and endangered Red Hills salamander (Phaeognathus hubrichti) is the official state amphibian of Alabama. 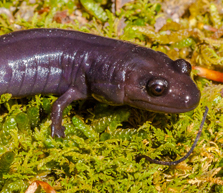 Extremely secretive and difficult to find, the Red Hills salamander is thought to exist only in a limited area in Butler, Conecuh, Crenshaw, Covington, and Monroe counties. It became the official state amphibian in 2000. Photo courtesy of Danté Fenolio/www.anotheca.com. The Alabama red-bellied turtle (Pseudemys alabamensis) is native to Alabama. The red-belly inhabits the fresh to brackish waters of the Mobile Delta in Mobile and Baldwin counties and can often be seen basking on logs. It is found nowhere else in the world. 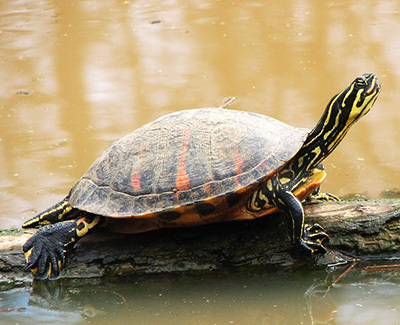 The Alabama Red-Bellied Turtle became the official state reptile in 1990. 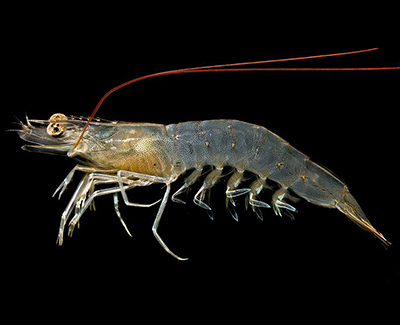 The brown shrimp (Farfantepenaeus aztecus) is a marine shrimp found throughout the Atlantic and Gulf Coasts of the United States and Mexico. 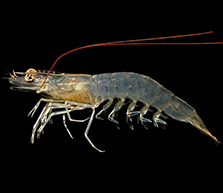 Because of its importance to commercial fishing, the brown shrimp was designated as the official state crustacean of Alabama in 2015. 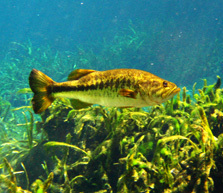 The largemouth bass (Micropterus salmoides), a popular sport fish, is found in large numbers in all of Alabama's inland waters. 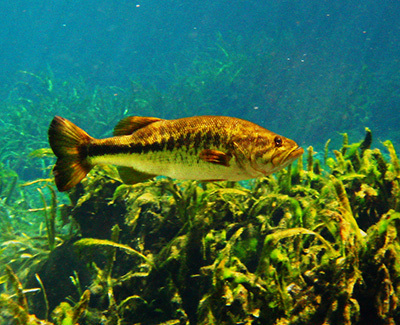 It was designated the state freshwater fish in 1975. 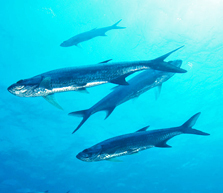 The fighting tarpon (Tarpon atlanticus), a large, silver game fish, was named the official state saltwater fish in 1975. 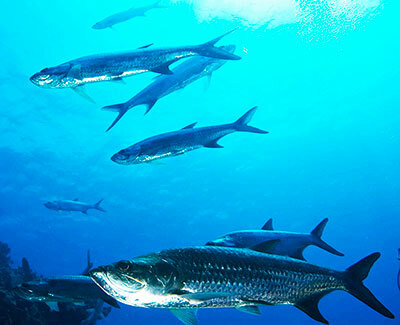 Tarpon can reach 100 pounds and are found off the coast of Alabama and in the Mobile-Tensaw Delta. 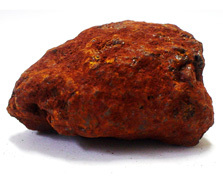 Hematite (Fe2O3), or "red iron ore," was chosen as the state mineral in 1967 to acknowledge the importance of the mining and iron and steel industries in the state's history. Marble, the official Alabama state rock, is found throughout central Alabama. The state's marble has been used in buildings all over the United States, including the U.S. Supreme Court building. Marble became the state rock in 1969. 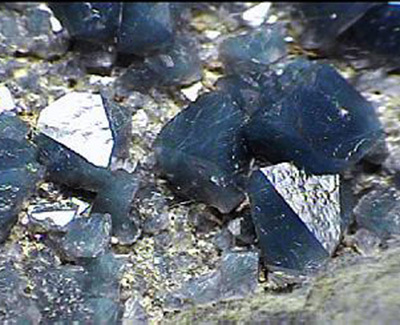 Quartz (SiO2) is an abundant mineral in Alabama rocks. Several varieties of quartz are valuable as gemstones, including the popular amethyst variety. 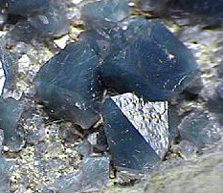 The star blue quartz variety, which is abundant in the state, became the state gemstone in 1990. 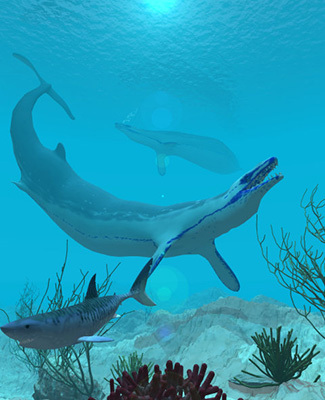 The prehistoric whale Basilosaurus cetoides was first discovered in Clarke County in 1833. These creatures lived some 45 million years ago and were up to 70 feet long. 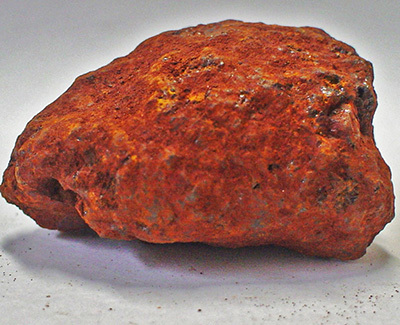 Many fossils of this species have been found in Choctaw and Washington counties. 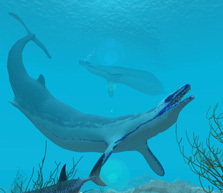 The basilosaurus was named the official state fossil in 1984. Photo reprinted by permission of Colin Swift/Digitalidesigns.com. 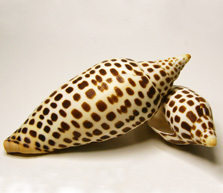 The official state shell, Johnstone's junonia (Scaphella junonia johnstoneae), is home to a marine snail common to the Gulf Coast. The shell was named for amateur marine scientist and Mobile native Kathleen Yerger Johnstone by Harvard scientist William J. Clench. 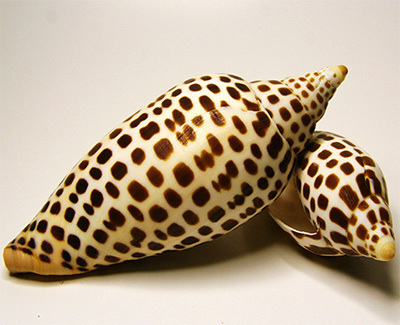 Johnston's junonia was named the state shell in 1990. Photo courtesy of Stuart Woodfin. 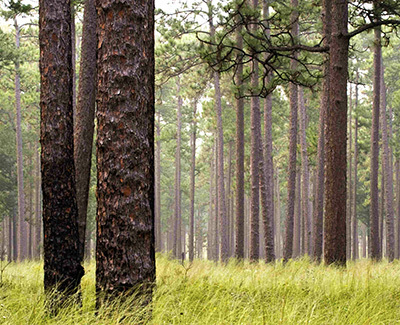 The southern longleaf pine (Pinus palustris Miller) is the official state tree of Alabama. The longleaf pine is peculiar among all trees in that it develops very little above ground during the first one to five years of its life and is often mistaken for a grass. 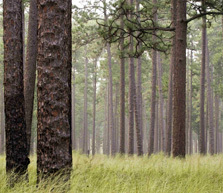 Longleaf pine forests once covered most of southern Alabama. The southern longleaf pine became the state tree in 1997. Photo courtesy of Beth Maynor Young. The pecan, a thin-shelled nut, grows on stately trees that are found throughout the southern half of the United States. Pecans are valuable wildlife food and are an important commercial crop for Alabama. 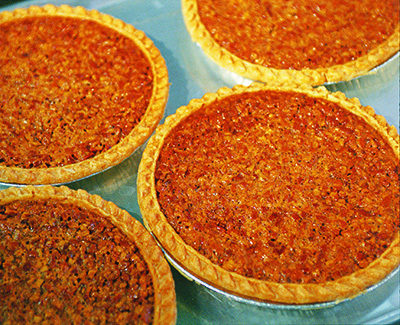 Pecans are good sources of vitamin B-6 and are the main ingredient in such Southern favorites as pralines and pecan pie. Act no. 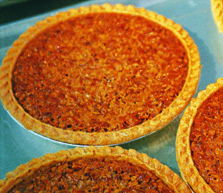 82-17, adopted in 1982, named the pecan as the official state nut. Photo courtesy of Southern Progress Corporation. 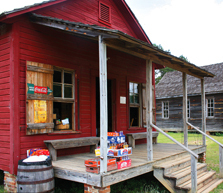 Alabama's peach industry is centered in Chilton County. 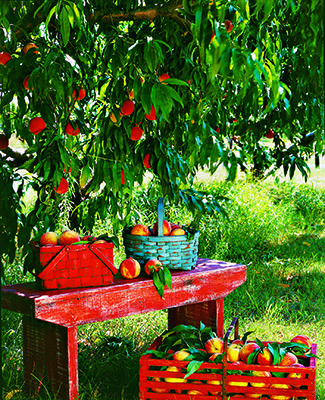 Peaches were first grown in the state in the Lowndes County in the 1850s, and they are now the state's leading commercial fruit. 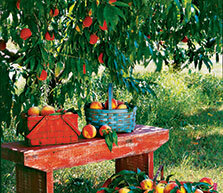 The peach was named the official state tree fruit in 2006. 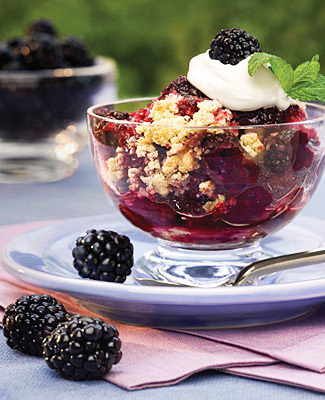 The official Alabama state fruit is the blackberry. It was adopted through the efforts of the third-grade students of Fairhope Elementary school in 2003. 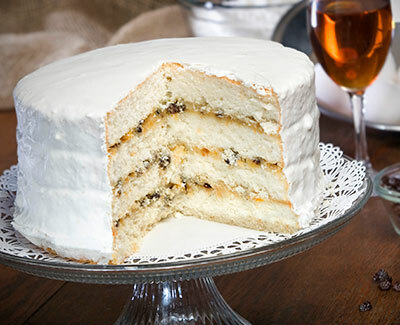 The Lane cake, named for Barbour County native, Emma Rylander Lane, was invented in 1898 and won first prize at a county fair in Columbus. 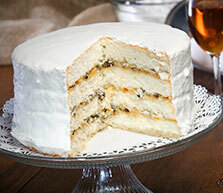 The Lane cake, named for Barbour County native, Emma Rylander Lane, was invented in 1898 and won first prize at a county fair in Columbus. 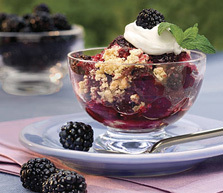 It is most often served at special occasions in the South, as highlighted in Harper Lee’s To Kill a Mockingbird.. 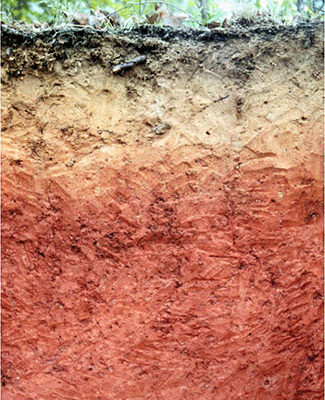 The Bama Soil Series (includes fine-loamy, siliceous, subactive, and thermic typic paeudults), which is found throughout the state, is the official Alabama soil type. A soil series refers to a large area of naturally occurring soils with similar characteristics. The Bama Soil Series is characterized by distinctive chemical and physical properties that are well-suited to agriculture. It occurs throughout much of the Black Belt. 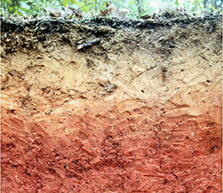 The Bama Soil Series became the state soil of in 1997. 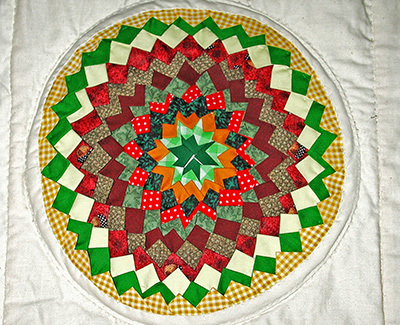 The Pine Burr Quilt was chosen as the state quilt of Alabama in recognition of its creation by the quilters of Gee's Bend and the Freedom Quilting Bee and its relationship to the civil rights movement. 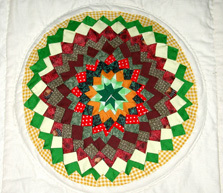 It was designated as the official state quilt in 1997. Photo courtesy of the Alabama State Council on the Arts. 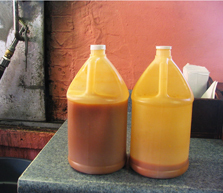 The annual "Christmas on the River Cook-off" in Demopolis is Alabama's official state barbeque championship. 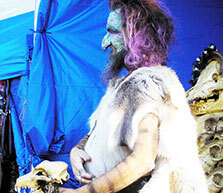 Established in 1989, the contest is part of that city's "Christmas on the River" festivities. The championship consists of three competitions: ribs, shoulders, and whole hog. 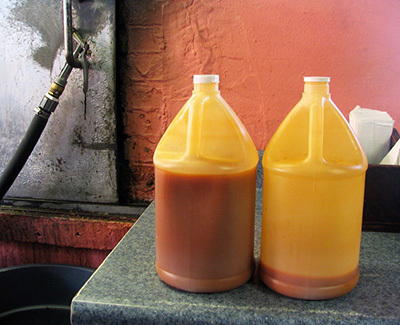 Alabama officially recognized this event as the state barbecue championship became the official state barbecue championship in 1991. 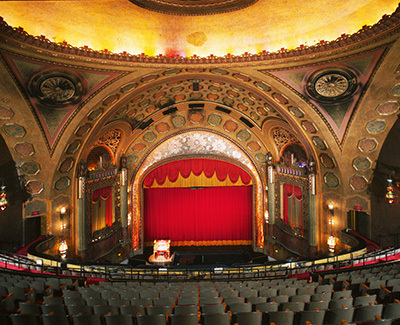 The Alabama Theatre in Birmingham is the official state historic theatre. It opened on December 16, 1927 and was part of the Paramount Theatre chain, hosting famous film and theater stars of the 1930s, including John Barrymore, Roy Rogers, and Tallulah Bankhead. The theatre also houses "The Mighty Wurlitzer" organ. 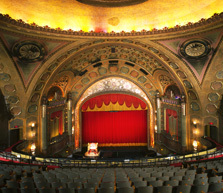 Now a performance space, the Alabama Theatre for the Performing Arts was designated the state historic theatre in 1993. 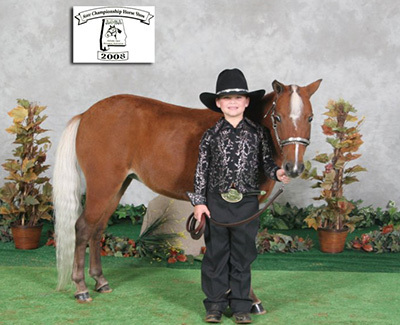 The AOHA Alabama State Championship Horse Show, sponsored by the Alabama Open Horseman Association, is held annually in Montgomery in May. It was named the official state horse show in May 1988. 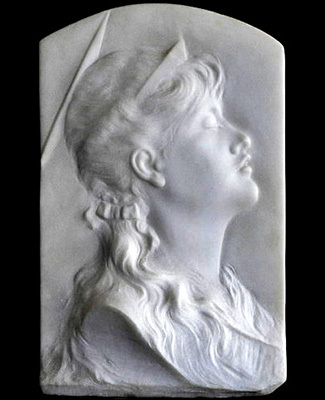 Alabama's official outdoor drama is The Miracle Worker, William Gibson's 1962 play based on the early life of Helen Keller. 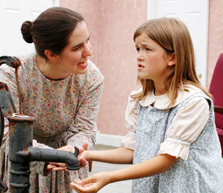 The play is performed annually in June on the grounds of her birthplace, Ivy Green, as part of Tuscumbia's week-long Helen Keller Festival. 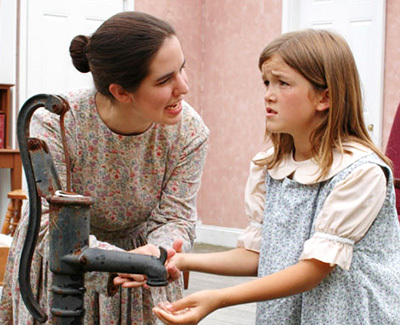 The Miracle Worker became the Official State Outdoor Drama in 1991. 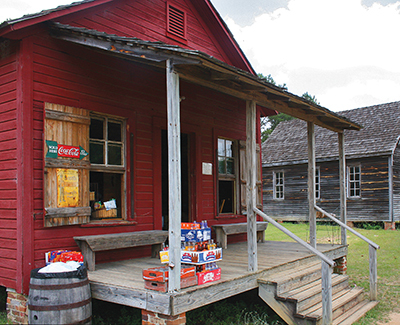 Landmark Park, in Dothan, is a 100-acre living-history museum with exhibits and activities relating to the cultural and natural heritage of Alabama's Wiregrass region. Landmark Park became the State Agricultural Museum in 1992. Photo courtesy of the Alabama Tourism Department. 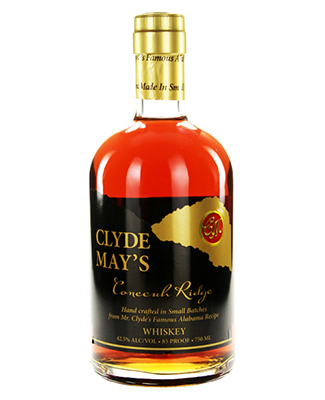 In 2004, the Alabama State Legislature named Conecuh Ridge Alabama Fine Whiskey as the official state spirit. 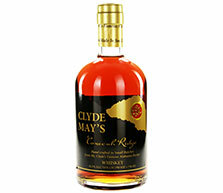 The whiskey was first made by moonshiner Clyde May in Bullock County during the 1950s. Conecuh Ridge is headquartered in Union Springs, also in Bullock County, but the product is manufactured in Kentucky with ingredients trucked in from Alabama. 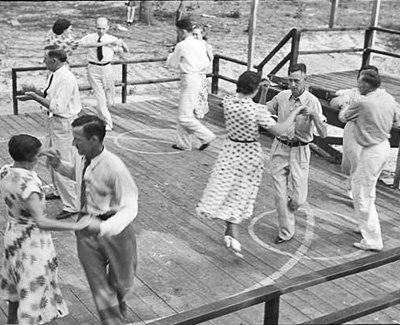 The square dance, a type of folk dance involving couples, originated in seventeenth-century Europe and was brought to North America by European immigrants. 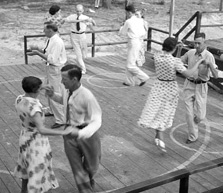 It was designated as the state folk dance in 1981. 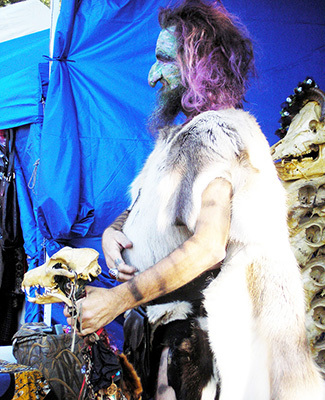 The Alabama Renaissance Faire, held annually in October in Florence at Wilson Park, became the official state renaissance fair in 1988. The two-day event uses the town's namesake, Florence, Italy, as its setting.